Fall is here, and if you’re like me you worry about allergy season. When the seasons change, my family finds ours flaring up often. In the past, we’ve been reactive and scurried around to find solutions for our horrible allergies. We quickly learned the importance of being proactive when it comes to combating them! There are several things that can be done to help prepare your home for fall allergy season. 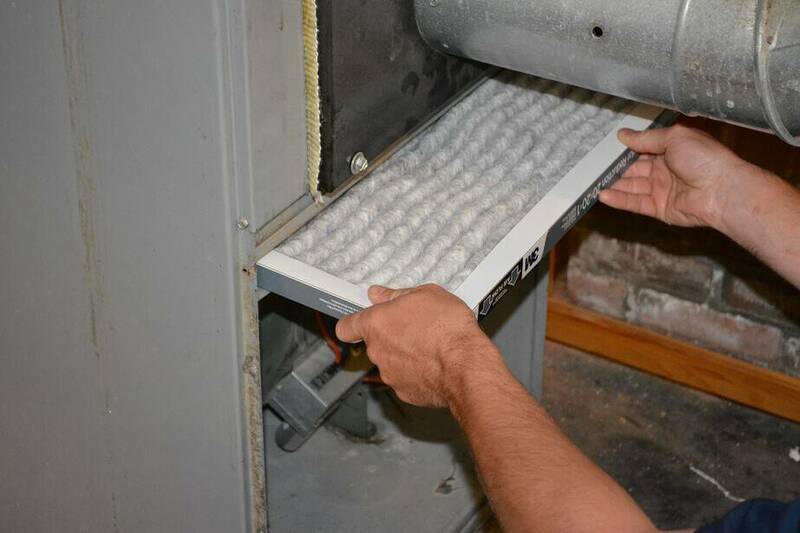 – Change Filters: Your air filters should be changed every 3 months minimum. If you haven’t swapped them out for the fall season yet, you’ll want to get on this! Allergens LOVE to be captured by filters. They do. But not older filters that haven’t been changed. Don’t wait. Change them now, not later. Your air will thank you. 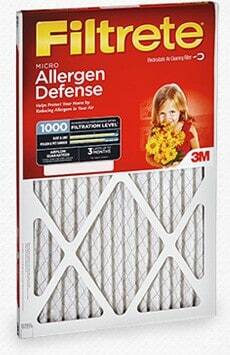 The Filtrete Healthy Living Ultra Allergen Reduction Filter MPR 1500 is a great addition to your for fall cleaning list- it can help create a healthier home by capturing large airborne particles like dust, pollen and mold spores from the air passing through the filter. It also attracts and captures microscopic particles that can carry bacteria and viruses. The Filtrete Healthy Living Ultra Allergen Reduction Filter (MPR 1500) is effective at capturing 90% of large airborne particles such as dust, pollen and mold spores from the air passing through the filter. – Dust…Everywhere: You should dust your house from top to bottom to prepare it for fall. Dust is a key allergy trigger, and can hide in nooks and crannies that regular cleaning may miss. Dust from top to bottom, starting at high ceiling fans. Be sure to wear a mask if dust is an allergy trigger for you. – Clean carpets: You’ll want to thoroughly vacuum after dusting, of course. If you had a very high amount of dust, or thick shaggy carpet, you may want to consider a deep cleaning for your carpet. The dust you removed from other areas of your home is likely stuck in the folds of your carpets. – Use mattress covers: Dust and other allergy triggers love to hide in the folds of your mattresses (eww, right?). Using a allergy proof mattress cover not only protects you from these, but allows you to remove and wash often. – Check for mold: Mold is another allergy trigger. It loves to hide in damp areas like basements, garages, kitchens, and bathrooms. Check these areas thoroughly for any mold, and be sure to remove immediately. Take extra caution in protecting yourself, as some types of mold are severely hazardous if inhaled. If you are unsure whether a particular mold is hazardous or not, don’t hesitate to contact a professional. – Air your house out: After dusting and cleaning (and during) open some windows and let some fresh air circulate through your house. Do this now, before the weather changes and becomes to cool to do this! Following these tips will help your family avoid some of the common allergy triggers, and enjoy your home more comfortably during the fall months! Register to receive seasonal e-newsletters featuring special offers, filter change reminders, better home living tips and more at http://www.Filtrete.com. What’s your biggest allergy trigger? 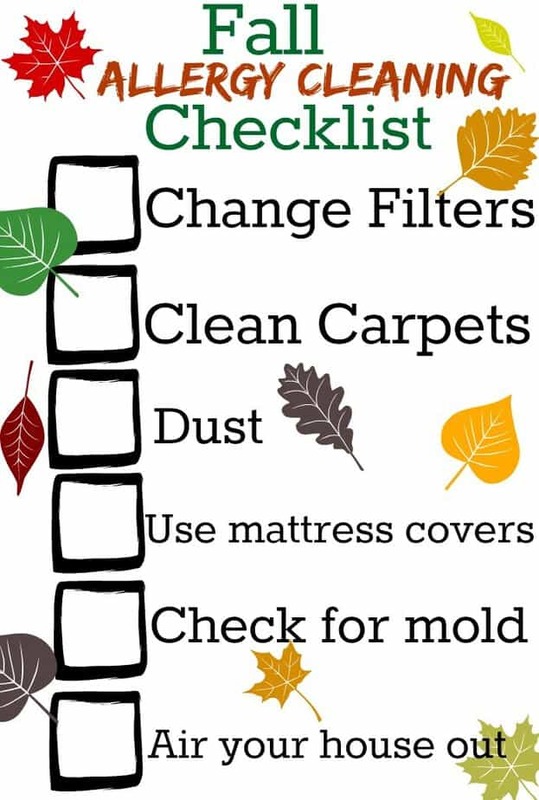 Great tips, we change our air filters often as we all have allergies. My hubby is so good about changing filters. We’ve got a cold wall though, where the closet gets damp, I’m thinking we’re going to have to have that wall ripped apart and insulation reinstalled. Before winter gets here. Your list is good. MY mom has allergies,and I know she doesn’t get it near as bad as some others, but it’s still just not good. I feel for anyone who has to suffer through ’em. Dust is the biggest concern here. I get clogged up for days! Allergy season is definitely here. Thanks for sharing this great list of things to do! As an allergy sufferer, I really appreciate you putting together this checklist! I will definitely be making sure to do all of these things! I need to use this checklist! As I get older my allergies get worse. I’m sure following all of these would help a lot. Thanks for the reminder! I need to change our filter and also wash our carpets. I feel like we have to change our air fiter out way too often. When we do though, we use Filtrete only. They are the best. I tend to sneeze more from the dust that builds up so quickly in my home, that and being outdoors for longer than a few hours. Change filters! Why is that so difficult to remember?! I’m sure ours are due for a change. A: This is an AWESOME printable. I have TERRIBLE allergies and asthma, so I’m always doing these things. B: I love Filtrete filers. They’re really great. I totally need to change the air filters. I’m always forgetting! Oh these are all such great tips! My son has the allergies in our home…so we try to keep it the best we can! I always change the filters…but I lOVE the mattress pad idea! And this would be a great time to get our carpets cleaned!